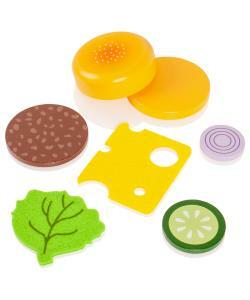 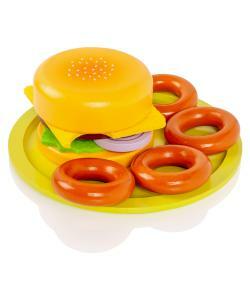 Create your own hamburger meal with this beautifully crafted wooden playset by Kiddyplay. 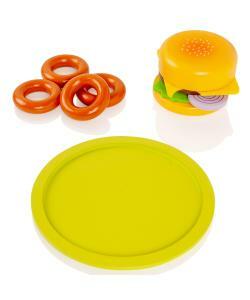 Stack the burger pieces as you like them, then serve with the onion rings! 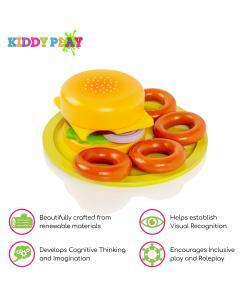 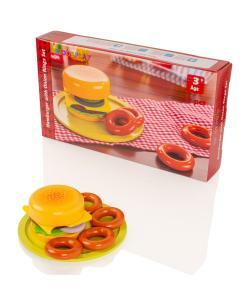 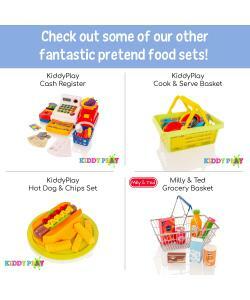 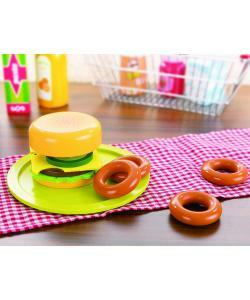 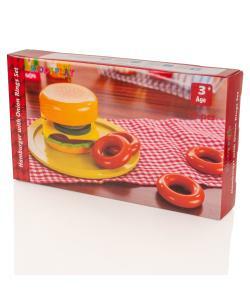 The Hamburger & Onion Rings playset by Kiddyplay encourages fun pretend play in children and helps develop hand-eye coordination and creativity. 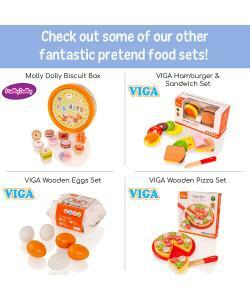 Fits perfectly with other Kiddyplay or Viga pretend play products.